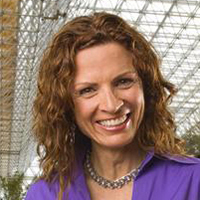 Jane Poynter is Chief Executive Officer at World View Enterprises. Poynter is a member of the Biosphere 2 design team and a member of the original crew who lived inside the sealed, self-sustaining habitat for two years. She was co-founder, President and Chairwoman of Paragon Space Development Corporation, which develops technologies for extreme environments. Experiments in her patented, self-sustaining habitats have flown on the International Space Station (ISS), Mir and the Space Shuttle. Poynter is a recognized leader in sustainable development. She is the author of The Human Experiment: Two Years and Twenty Minutes Inside Biosphere 2.